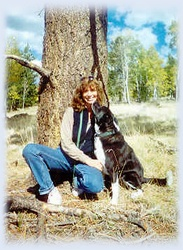 I am passionate about helping people teach their dogs how to optimally live in this crazy human world. 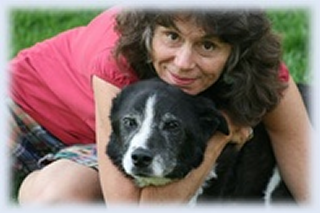 That purpose has grown into a passion for the canine species and a passion to help people teach their dogs how to optimally live in this crazy human world. Their loyalty and devotion exceeds anything we, as humans, can usually achieve without great focus and effort. I wonder if it is accidental their name in reverse reflects what most of us immediately revere the thought of. We have a great deal to learn from their present mindedness and quick joy, their quiet peace and exuberant playfulness. he gave him the dog"
There are enough qualified breeders to keep your breed thriving - let them do their job. PLEASE . . . If you only knew the number of pure breeds or pure breed mixes who must have their lives end because there are just too many of them. PLEASE . . . Do not add to the problem of over populated unwanted dogs. That said, I value the qualities in a well bred dog from a conscientious breeder. 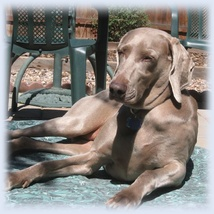 Those good breeders will keep the bloodlines pure and true to the breeds working genes. Let them do that. Join with me and stop endless ego and money focused breeding. PLEASE SUPPORT YOUR LOCAL SPAY AND NEUTER ORGANIZATION AND SAVE PRECIOUS LIVES. Walk through any shelter and know hundreds and thousands of fine dogs are euthanized simply because they have been forgotten by mankind. This is not the simple plea of a “Crazy Dog Lady” they are facts. Breeding needs to be controlled. Please do your part.